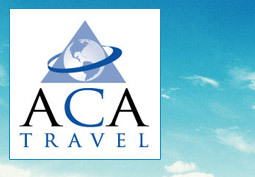 ACA Travel and Tours - Best fares to Mexico, Central and South America. Have your own web site powered by Amadeus E power booking engine. Take advantage of acatravel.com Technology by using Amadeus Epower, enables travel agencies to sell NET fares directly from their own website. When the passenger enters your web site, they can proceed to check fares by simply entering the origin, destinations, dates of travel, and one-way/roundtrip. A seamless connection is established to our database. From that point onwards, our servers perform the price check, booking process and complete the transaction. Since all the processes are occurring on our servers, this requires no additional technology infrastructure for the travel agency. The system searches in our database, adds your markup and responds with a list of fares sorted by the best price. Only the fares that qualify for all the fare rules are shown. We check for validity and blackout dates, minimum/maximum stay, etc. Weekend surcharges, if applicable, are also shown. Once the passenger sees a fare they like, they then check seat availability. If the seats are available, the user can choose from the various flight options available and enter passenger information. The passenger enters credit card and billing information on our secured site. A PNR is created and displayed on the screen. Since a majority of passengers are price shopping at first, we separate the price quote from seat availability. This product allows you, the travel agent to offer your services through your own web site to those passengers that like to “do it themselves”. They do all of the work and searching instead of you. Earn more profit while reducing your effort in giving the passenger what they want. If you are interested in this technology please contact Ariel Lopez via email at Ariel@acatraveel.com , or fill out our form below, and we will be in contact with you.